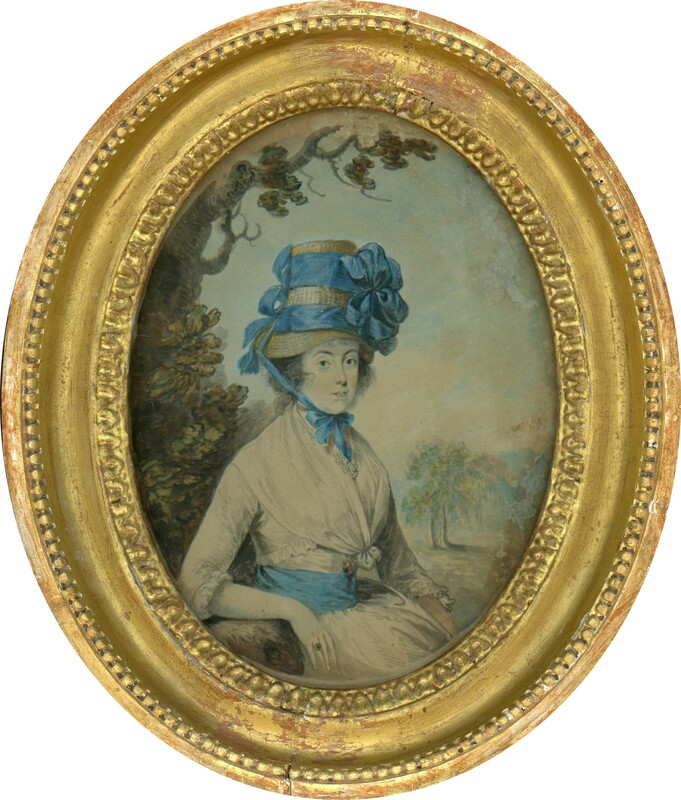 This eighteenth century half-length watercolour portrait depicts a lady relaxing in a garden landscape with a tree-lined avenue leading off into the distance. 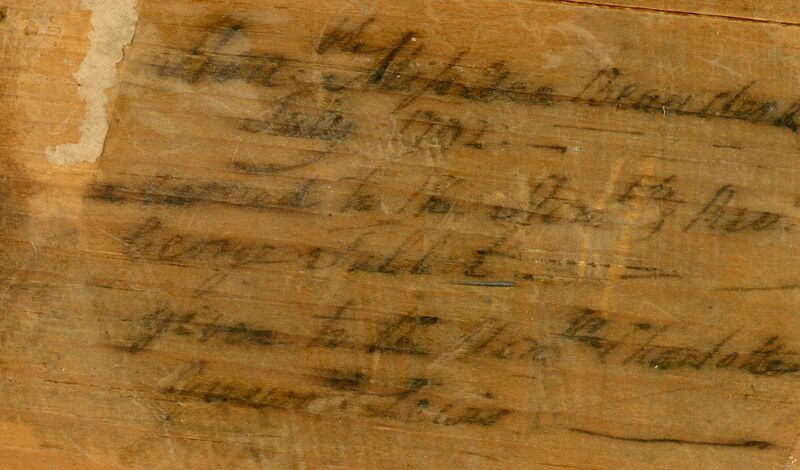 An old hand-written inscription on the backing board names her as Anne Beauclerk. 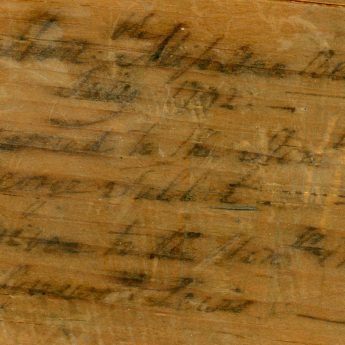 The inscription also dates the portrait to July 1772. Anne is stylishly attired in a white dress with narrow elbow-length sleeves and a blue ribbon sash round her waist. 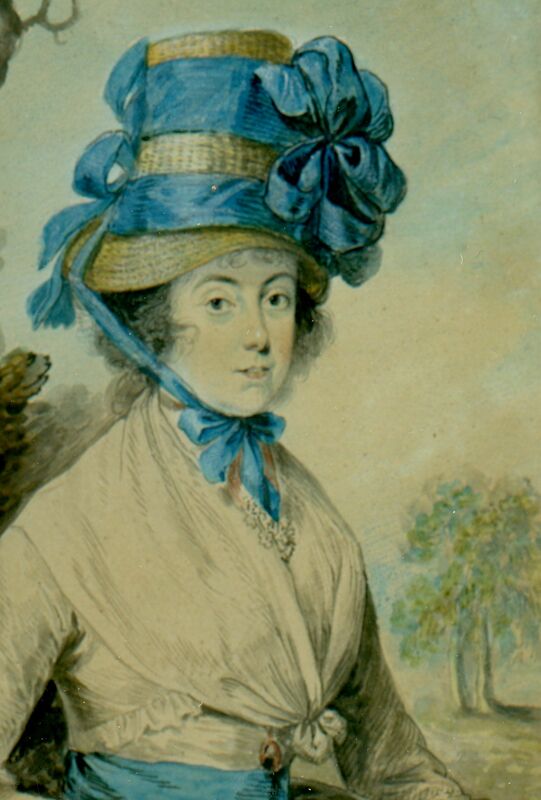 She has a handkerchief fill-in that is knotted at the front but the most striking part of her costume is undoubtedly her tall straw hat that is lavishly trimmed with blue ribbon bows. Of interest too is her portrait miniature necklace and her silhouette ring. Anne was the daughter of Col. Lord Henry Beauclerk. 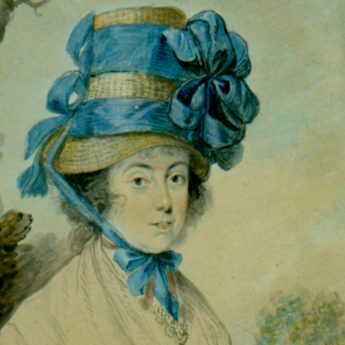 The Gentleman’s Magazine recorded her marriage in 1794 to the Rev. George Talbot, third son of the judge and Member of Parliament, John Talbot. The portrait has an area of old restoration to the sky area along the top edge and also at 4 o’clock. This is not though intrusive. It is housed in the original 18th century gilt wood frame with a beaded outer border and an inner egg and dart border. The frame has small losses and wear to the gilding that are consistent with age.